Patients use a bedside commode (abbreviated as BSC) if they are able to get out of bed, but for one reason or another, are not able to ambulate to the bathroom or are a high fall risk. They may need the assistance of a cane, walker, or sara stedy. If your patient is on bedrest, it is usually recommended for them to use a bedpan or urinal instead. 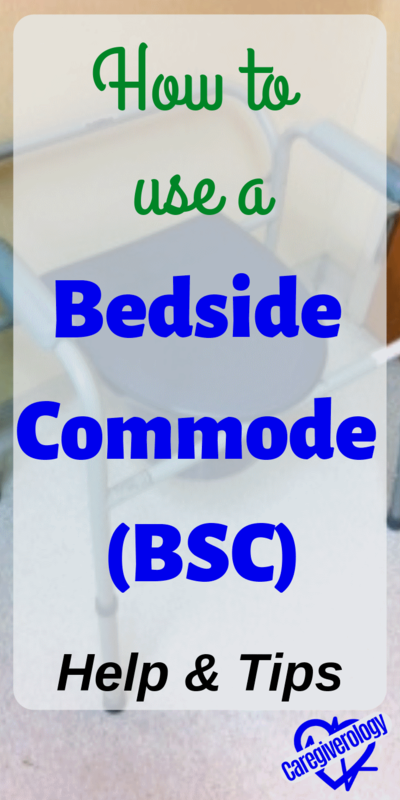 What exactly is a bedside commode? It is basically a toilet that can be moved around the room. You can place it against the wall, or close to your patient's bed or chair. Place it as close to your patient as necessary. They have rails on either side and a bucket that can be taken out and emptied. The bucket is usually taken out by lifting the toilet seat or by sliding out sideways from underneath the seat. The legs are adjustable for different heights. Just make sure all of them are the same length or it will be crooked or unstable. Emptying a bedside commode is a simple process. Just take the bucket, rinse it out, and dump the contents in the toilet. Luckily, hospitals and similar facilities makes this that much easier by having a spray nozzle attached to the toilet specifically for things like this. Just make sure the contents don't splash up on you. Yes, unfortunately I'm speaking from experience. You can usually adjust how strong the water pressure is. Start out low and work your way up and always face the inside of the bucket away from you just in case. 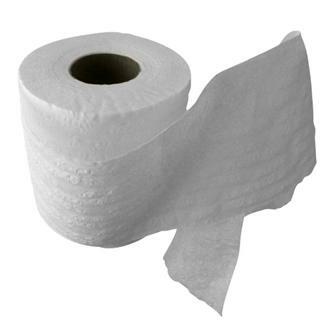 Urine is usually pretty easy to get out, but if your patient had a bowel movement, you may have to wipe away what cannot be rinsed out with a wipe or washcloth. The longer a smudge or smear is left inside, the harder it is to get out. Working in a hospital, I have found placing it sideways against the bed is the easiest way for my patient to reach it. That way they can just pivot to the commode instead of shuffling their feet around. This is especially important if they are very weak or get dizzy easily. Should you place it facing the foot of the bed or the head of the bed? How about the left side, or the right side of the bed? There are too many factors to say either way. You have to make your best judgement. Don't be afraid to ask them what they prefer. For example: If your patient recently had a stroke and has weakness on their left side or if they had knee surgery on their left knee, you would place the commode on the right side of the bed and have it facing the foot of the bed. That way you can assist their left side to the edge of the bed while they take care of their right side. Once they are in a sitting position on the bed, they can grab the right rail on the commode with their right hand and pivot with their right foot while you assist with their left side. If they take their time, they can do this with minimal or no use of their left side. One thing you really have to take into consideration even if your patient is strong on both sides is the position of their IV's, nasal cannulas, and foleys if they have them. They can easily get twisted around your patient or even pulled out if you are not careful. Try to keep them in front of them rather than behind. Make sure you have enough tubing to reach the commode and they are not twisted around or tucked under the bed rails. Don't ask me how but this actually happens quite often even if they haven't gotten up yet so don't forget to check. Should You Leave Them Alone? If your patient is even slightly confused or drowsy, or have dementia, do not leave them on the bedside commode by themselves. It is not worth risking them falling. If they insist on privacy, just stay behind their curtain if they have one or right outside their door leaving it cracked so you can look and listen. Some caregivers may suggest a chair alarm but I personally wouldn't. A bedside commode is too easy to get up from or fall out of. You may not make it back in time to prevent a fall. When in doubt, stay with them. It's not worth the risk. On the other hand, if they are completely alert and oriented but want some privacy, make sure they have their call light so they can call when they are done. You can also give them a roll of toilet paper, wipes, or washcloths if they can wipe themselves. In many cases you have to assist them once they stand back up. 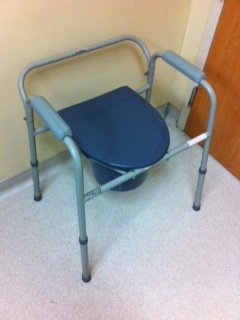 A few other things a bedside commode can be used for is a shower chair, or as an elevated toilet seat. Simply take out the bucket and place the commode directly over the toilet. Not only does this reduce how far your patient has to squat down, it also gives them rails to ease down and back up.